Could A Timer On Prescription Bottles Help With Prescription Drug Addiction? Prescription drug misuse is caused by using prescription medications beyond the requirements of the prescription. Taking the same dose more often than the right dosage time, taking a higher dose at the right dosage time, or taking a higher dose more often than the right dosage time, are all forms of prescription misuse and can lead to prescription drug addiction. Currently, there are no mechanisms in place to prevent someone from accessing their prescription medications earlier than they are supposed to. As the nation continues to fight the war against the opioid epidemic, companies are taking it upon themselves to innovate options for managing prescription drug use while reducing the potential for addiction. One local news station from Arizona reports on “The TimerCap” which is promising as a tool for managing prescription medication use. Essentially, the small device is a prescription pill bottle cap with a built in timer. Programming the amount of time necessary between doses, the cap is able to tell when it is opened and closed. Taking the lid off the bottle and putting it back on, the timer starts counting so the user is visually aware of how long it has been since their last dose. Most significantly, The TimerCap shows when the bottle has been opened too early. Addiction treatment and recovery from addiction does not eliminate the opportunity for prescription misuse. Many people in sobriety continue to take prescription medications, which may or may not have addictive qualities. Medication management is an important tool for long term recovery, which cannot be overlooked. Learning to manage symptoms is important for getting through a dosing period, especially when there are uncomfortable sensations involved like pain, anxiety, depression, or general discomfort. Prescription pill addiction causes the brain to develop a high tolerance for medication doses, meaning the brain needs a higher amount of drugs to achieve a similar or greater effect as recent doses. The brain also develops a low tolerance for discomfort. For example, opioid prescription pill addiction actually inhibits the brain’s natural ability to block the opioid receptors which results in pain relief. Pain, in the slightest form, becomes more sensitive. Due to this, it is hard for recovering addicts to truly know when they feel they “need” to take a medication again as opposed to when they are supposed to take a medication again. 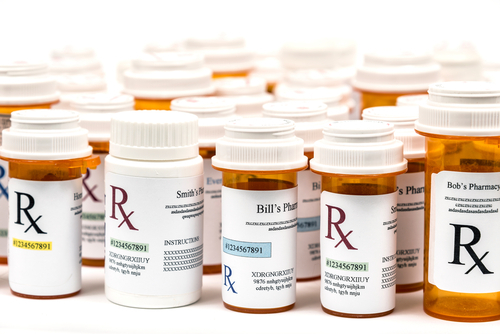 Medication management is part of the post-treatment recovery lifestyle. Setting up medications with a normal routine designed for safety can be challenging as well as triggering. Hired Power offers recovery services which can help you safely bring recovery home after treatment or as a treatment alternative option. For information on how our dynamic team can help empower your recovery, call us today at 800-910-9299.